I have a bibliography in my document with an entry which is not reflected properly in the Zotero database. In the screenshot you see that the Place field is empty but in the document you see this "Amsterdam ;;Boston ;;London: " which doesn't look nice at all and I'm guessing isn't concordant with the Chicago Manual of Style. This after using update field. 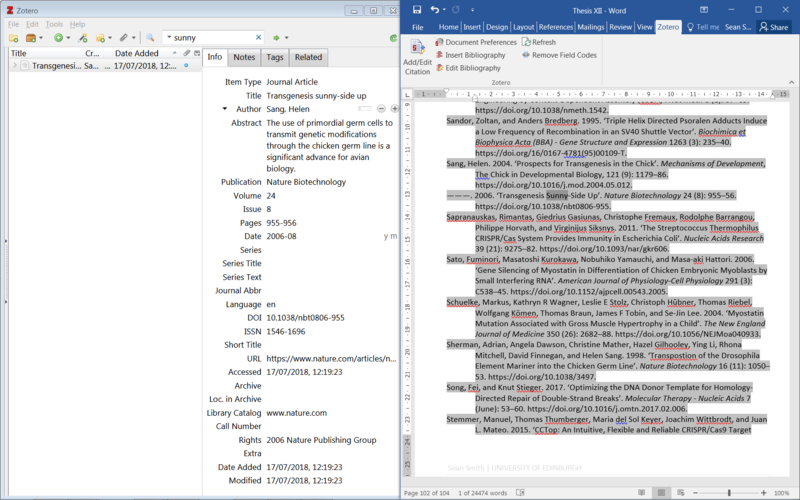 Similarly, making a small change to another Zotero entry isn't reflected in the bibliography after updating the field. Adding new inline citations does update the bibliography but it does not incorporate the changes made to stuff after insertion. That's not the same copy of the item. The one in the bibliography also has 2nd edition in it, the one in the screenshot doesn't. Likely a duplicate, potentially one where you have deleted the "wrong" copy. 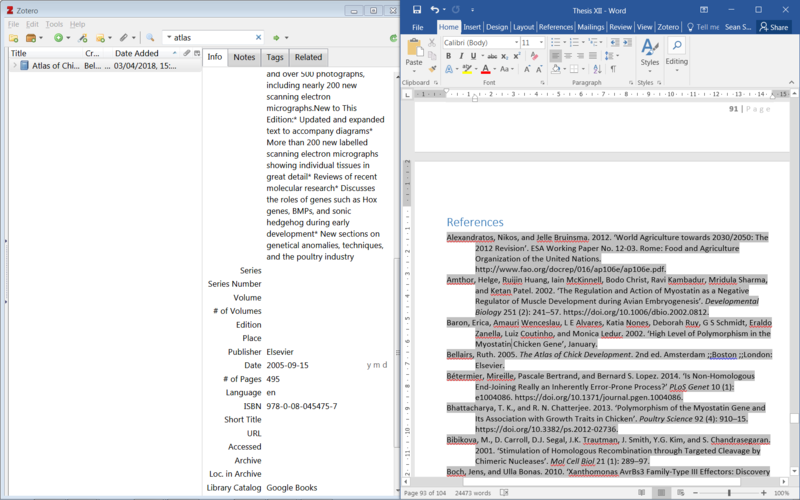 If you still have the bad copy, merge the two to correct the bibliography. If you don't you'll have to re-insert that citation. Thanks, I did that and it fixed that problem but I have another which was inserted into the bibliography directly using "edit bibliography" because that reference happens to be in a text box. In this screenshot you can see that the author is present in the record but not in the bibliography (it just says ----). Any idea how to fix that? Thanks again. That's just how Chicago Manual bibliographies work: repeated authors are replaced by three em-dashes.